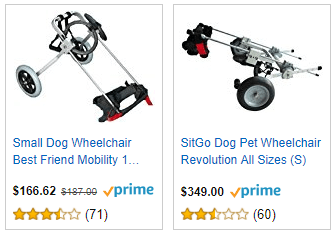 Pet dog wheelchair is a participant in the Amazon Services LLC Associates Program, an affiliate advertising program designed to provide a means for sites to earn advertising fees by advertising and linking to amazon.com. Amazon and Amazon Logos are trademarks of Amazon.com, Inc. or It’s affiliates. The reproduction, distribution in any method whether online or offline is strictly prohibited. The work on the website and the images, logos, text and other such information is the property of Petdogwheelchair.com (unless otherwise stated). Petdogwheelchair.com reserves the right to make any modifications or corrections to the information you find on the website at any time without notice.